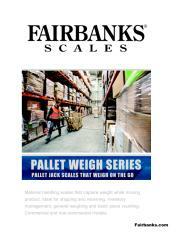 Fairbanks Scales’ Pallet Weigh pallet jack scale combines the functionality of an extremely rugged pallet jack with the incredible accuracy of a Fairbanks’ scale. 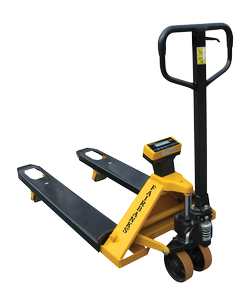 The Pallet Weigh scale is easy to maneuver into space-limited areas. The simple operation keeps work flowing in fast paced environments. 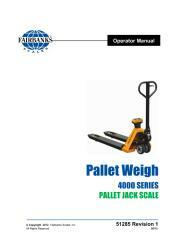 The scale meets, or exceeds, industry standards for accuracy, durability and repeatability.